Free Music Friday! Colleen Green - "Y Do U Call Me?" One thing that's for sure, Colleen Green is a songwriting phenomenon. She sings lovely, catchy, fuzzy songs that range from 80s pop goulash to psychedelic drone; from 90s power punk to homemade Sebadoh-style songs of heartache. Think of her as a sort of female Daniel Johnston, with her at home making comics, armed with a seemingly unlimited amount of well-composed songs, her lamentations on out-of-reach love, her self-medication, her bedroom recordings. She proudly displays her musical heroes' influences on her sleeve. 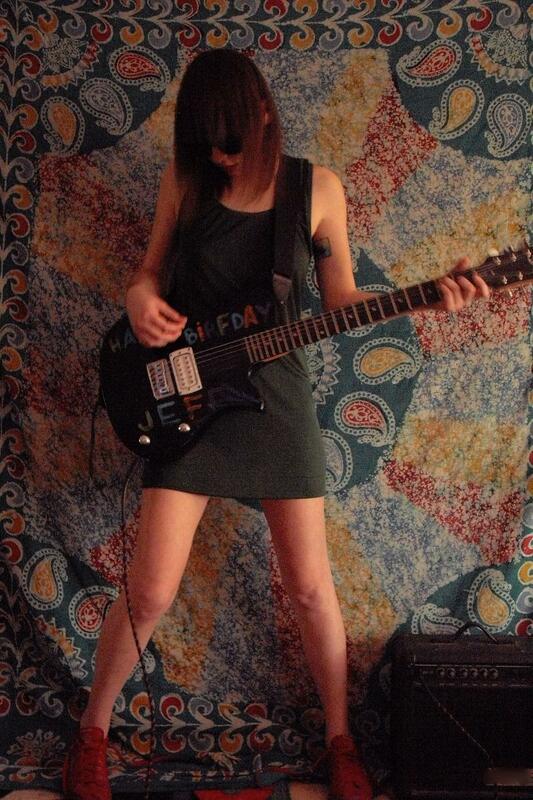 She plays live shows alone on stage with only an electric guitar and a drum machine to accompany her. Green moved to Oakland, California in 2008 in search of hot sun, good bud, good buds, and nice boys. Fortunately, five of her best friends decided to join her, the best of which being Kayla. Along with their friend Steve O, Green and Kayla created the Full House House in West Oakland and invited countless great bands from across the nation and world to play in their living room.